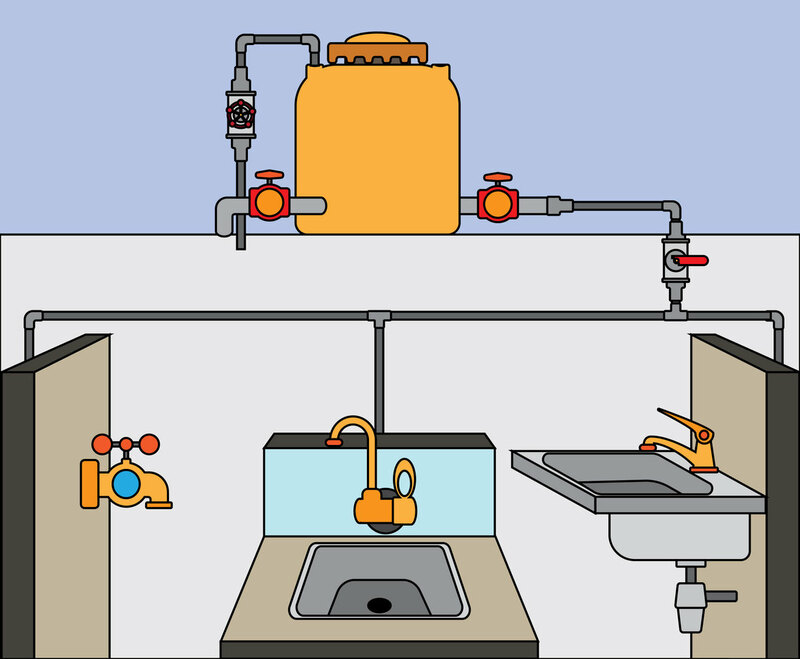 Here is vector illustration of pipelines system in a house. You'll have water tank, a sink, washbasin and a faucet. It will be good for educational illustration about plumbing or piping system.